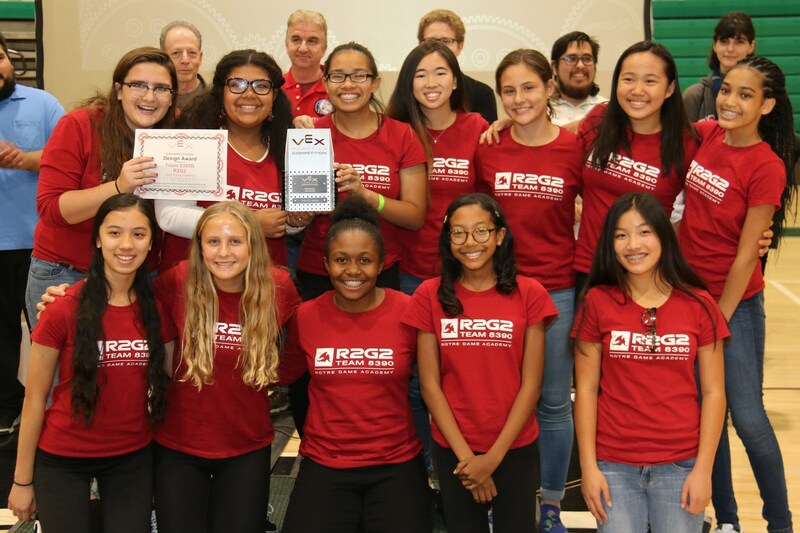 Winning one of only three awards given out, R2G2 impressed the judges and earned the VEX Design Award at the Granada Hills Charter High School competition. 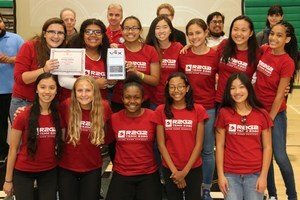 Sophomore and freshman robotics students were recognized for their outstanding engineering design process, which was clearly documented in their detailed, beautifully handwritten Engineering Notebook. Congratulations R2G2!